Butternut squash can be a milkweed substitute / alternative in an emergency! Monarch caterpillars failed to complete pupating into chrysalis... why? We (myself, my wife, and my son and daughter) live in Santa Barbara, California. 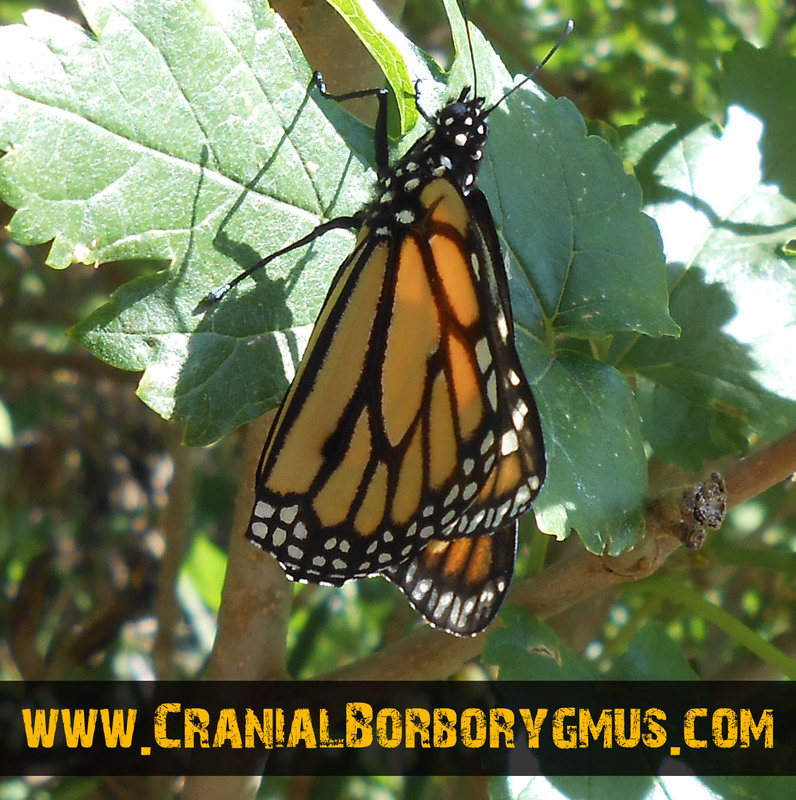 We've visited the Goleta Monarch butterfly preserve the past several winters to see the Monarch butterflies. The preserve is a grove of eucalyptus trees near the coast in Goleta where every winter, thousands of Monarch butterflies arrive. They stay a month or two, and then leave and migrate back up into the Sierras for the summer. It's amazing walking through the eucalyptus trees and seeing the big hanging clusters of hundreds of Monarch butterflies huddled together in clumps. When the sun comes out, the air will be full of fluttering butterflies. We've been going to the Goleta preserve for several years, but this year there was a volunteer at the preserve who was explaining the life cycle of the Monarch butterfly, as well as their migratory pattern (fascinating stuff). The volunteer had a Monarch caterpillar and was letting the kids hold it. My son held the caterpillar and then he handed it to me. I haven't held a Monarch caterpillar since I was a kid, and it brought back great memories of finding them on milkweed plants when I was growing up (I grew up in the Sierras, not here in Santa Barbara, and we had wild milkweed plants around our house where we'd find a few Monarch caterpillars during the summer). I decided then that we needed to grow some milkweed so my kids could witness the life cycle of the Monarch butterfly. Two days later, I was looking at the stripped, barren milkweed plant and spied a third Monarch caterpillar on it! I have no idea where this third caterpillar came from, but now we had another hungry caterpillar to worry about. I didn't want to bother the local milkweed source again, nor did I want to drive over there again, so I started looking for Monarch caterpillar milkweed food alternatives again online, and found a reference that said Monarch caterpillars eat pumpkin. We didn't have any pumpkin, but my wife was making butternut squash soup and suggested trying to feed the caterpillar a slice of butternut squash. I put the slice by the barren milkweed plant and surprisingly, the little caterpillar began eating the butternut squash! We moved the caterpillar into a Tupperware and continued feeding it butternut squash slices (I replaced the squash daily since it would dry out). We chuckled when we noticed the caterpillar poop pellets were orange instead of green. Amazingly, the caterpillar not only survived on the butternut squash, but turned into a chrysalis, and then emerged as a Monarch butterfly (who my son name "Butty" (the Monarch butterfly). Butty even fluttered up to and landed on my son's head before he flew off into the sunset. 2. (above) Two days later, a third Monarch caterpillar showed up on the barren milkweed plant. I didn't want to drive him all the way over to the person with the milkweed, so I began to search some more on the internet for alternatives to milkweed for feeding Monarch caterpillars. I found a reference that someone had fed Monarch caterpillars pumpkin, and it had worked. I didn't have any pumpkin around, but my wife just happened to be making butternut squash soup for dinner, and had some butternut squash left over. I cut a slice and placed it by the plant. To my surprise, the Monarch caterpillar began to eat the butternut squash! 4. (above) Butty the Monarch caterpillar grew to full size eating butternut squash, and then turned into a chrysalis. 5. (above) Butty then successfully emerged from his chrysalis as a new Monarch butterfly. Seeing him come out was amazing. 6. (above) After a while, Butty the Monarch butterfly successfully flew over to a nearby orange tree. 7. 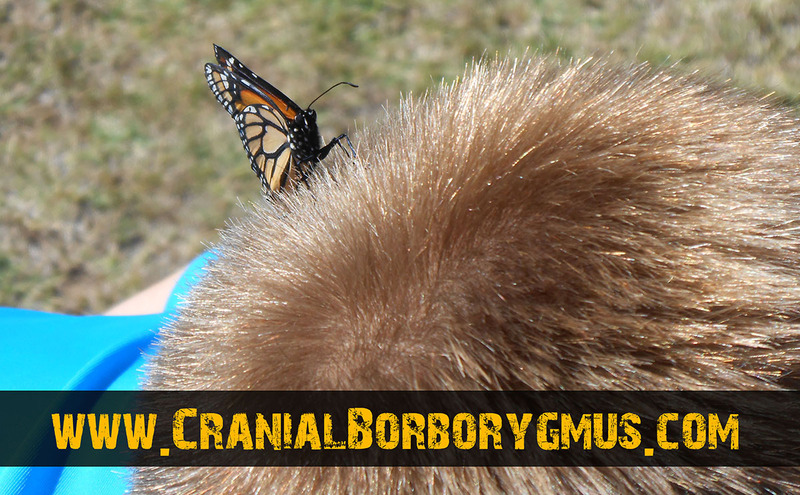 (above) Before leaving, Butty the Monarch butterfly flew over and landed on my son's head, perhaps to give him a kiss and say thank you before he took off. It was the strangest thing, as my son was just standing there watching him, and then Buddy fluttered over and landed on my son's head. We've seen a lot of Monarch butterflies since then, and we're pretty sure several of them have been Butty, or Butty's offspring. Our lone milkweed plant recovered and we've managed to raise other milkweed plants from seed and now have several plants, and have since raised more Monarch caterpillars and butterflies. We haven't fed any caterpillars butternut squash since Butty, since we've had sufficient milkweed available, but now we know that in a milkweed emergency, we can feed Monarch caterpillars butternut squash and they'll be ok.
note: We only raised one caterpillar on butternut squash, but if it worked for him, I think it would work on others. We also started feeding the caterpillar the butternut squash when it was medium sized. I don't know how smaller baby caterpillars would do. I haven't tried it again because we haven't needed to, and I felt a little "Dr. Frankenstein" feeding the caterpillar the butternut squash, so I'll probably only ever do it again in an emergency. Thank you so much for this tip. I had as many as 23 caterpillars eating on my 20 or so milkweed plants. Over the last two days 10 have moved on to make a chrysalis but the ones left have eaten up all my plants. I went and bought organic butternut squash and though some still ate on the stems some are eating the squash! I am so thankful! Kristn, Thank you for your feedback! I'm glad I was able to help. Feel free to post an update on how your caterpillars do on the butternut squash. As I remember, the squash can dry out, so I kept some in the fridge, and just put out new slices as needed. Good luck! Thanks for this article! I just found my first 3 monarch caterpillars today and my plant is just a few inches taller than yours, but with flowers and leaves still intact. However, I found more eggs on the leaves, so I was starting to worry that I wouldn't have enough milkweed for them. I'll definitely try out the butternut squash! You're a real life saver! (of monarch butterflies) Thanks! Joyce, Thanks for your comment. Hopefully you'll have enough milkweed. I was feeding the butternut squash to a "bigger" caterpillar so it could finish growing and turn into a chrysalis. I'm not sure how really small ones would do if the milkweed runs out just after the new eggs hatch. And of course, milkweed is always better and is what the caterpillars are supposed to eat, so if you can get more milkweed or plant more milkweed, that would be best. But it also seems, as you get more milkweed you also can get more eggs and caterpillars. Sometimes it's hard to have enough milkweed, no matter how much you have! Good luck and let us know how things work out! I had to relocate 102 caterpillars this weekend and used butternut for the last day before relocation for the biggest and fattest. Unfortunately, although caterpillars do eat pumpkin, if it is the only food source it does result in genetic abnormalities and so is not really suggested for complete eating. It is fine, though, for caterpillars who are within 3-4 days of becoming a chrysalis - as you have found out. The other plant they will happily and healthily eat is moth vine, but since it is considered a noxious weed in New Zealand, it can be hard to find. Ann, Thanks for your comment and information. It makes sense you can't "raise" Monarch caterpillars the entire time eating butternut squash or pumpkin. I'm only suggesting it in an emergency if the caterpillars eat all the milkweed and you have a few caterpillars left with no food (milkweed) who would start to death if you don't do something. I'm not sure at exactly what size/age the caterpillars can start eating butternut squash and then finish growing enough to pupate into a chrysalis. You could certainly be right that it's only in the last 3-4 days. I'm pretty sure it's not much more than that. If the choice is between a caterpillar going hungry and dying or getting some butternut squash to see if it would work, I would get the squash and try (or my kids would never forgive me)! I don't think anyone is going to try raising caterpillars using butternut or pumpkin, because Monarch butterflies will only lay eggs on milkweed, so you won't get any Monarch eggs and then Monarch caterpillars unless you have some milkweed to begin with, but then it often gets eaten up and runs out before all the caterpillars reach full size. The best answer is always to grow more milkweed, but that's not a very good answer for a sad-faced kid holding a hungry caterpillar when there's no more milkweed around! Again, thank you for your comment and info and I would agree, butternut squash and/or pumpkin is for emergency use only, and is only to "finish" the caterpillars, but isn't right to feed them their whole (short) life. Thanks for this tip. We still have several pumpkins and not so much milkweed. When the Instar 5s begin to get closer to chrysalis, I'm breaking the pumpkin open for nom nom. Hi Molly, Sound like a good use for your excess pumpkin! Good luck, and thanks for commenting. Hi Selma, The squash was raw, just like it would be in nature. Thanks for your question! Monarch caterpillars in their 5th instar will also eat cucumber if no milkweed available. Honest. Hi Leslie, Thanks for the suggestion. Have you feed Monarch caterpillars cucumber then? I'm tempted to try it and see how it works (you're saying just the bigger 5th instar caterpillars can eat it), but I have plenty of milkweed right now and no caterpillars. Good to know. I'd be curious if others have had success with cucumber. Interesting... Thanks for your comment. Hi Alex, I'm guessing your tiny bright orange bugs are milkweed aphids. I have another page on this website that is an image gallery, and I've posted a picture of orange milkweed aphids on it. Check it out, and see if that's what you have. Aphids won't kill your milkweed, but they do feed off it by sucking out the plant juice, and will reduce how well the milkweed grows. You can try to wipe them off and get rid of them, but I've found they multiply so fast they're hard to get rid of. They won't effect the Monarchs, they'll just reduce the vitality of your milkweed. Thanks so much for the info. 50+ large cats and fixing to run out of milkweed. Cucumbers really do work!!! Can you feed the caterpillars oranges, strawberries, grapes, or blueberries? Hi Elle, Monarch caterpillars wouldn't eat the fruit you mention. They really only eat milkweed, which is why the Monarch butterflies find the milkweed to lay their eggs on it. But if you run out of milkweed, at least the older caterpillars will eat butternut squash (and pumpkin I think), and will grow enough to then turn into chrysalises and then butterflies. But I don't know of anything else they will eat. When we ran out of milkweed, we tried all kinds of different leaves and other things from our garden, but the only thing they would eat was the butternut squash. Good luck, and thanks for commenting! I too, ran out of milkweed plants for the caterpillars. I didn't have butternut squash available, but I had zucchini, and guess what? They are all over it! Eating away! I am glad I saw this post online...Thank you! Hi Cathy, Thanks for sharing this. I didn't know that Monarch caterpillars can and will eat zucchini. That's great to know. I do know that when we've grown zucchini in our garden in the past, it's been extremely prolific, and we end up with more zucchini than we know what to do with. We give lots of zucchini away to neighbors... so much that one neighbor joked that they might have to stop answering the door during "zucchini season". Thanks for commenting and sharing your information! How do you tell if the monarch caterpillars is in its 5th instar??? I have lots of caterpillars on my milkweed and I'm afraid they are going to run out of leaves to eat. I have some butternut squash and zucchini but I don't know if the caterpillars are big enough to transfer yet. Also, if I put them in Tupperware. What do I put in for them to pupae on? Hi Trudy, Good questions. I don't know how you tell exactly which instar they are at. I just know each time they molt and shed their skin to get bigger, that is an instar, and they go through five instars before they pupate. 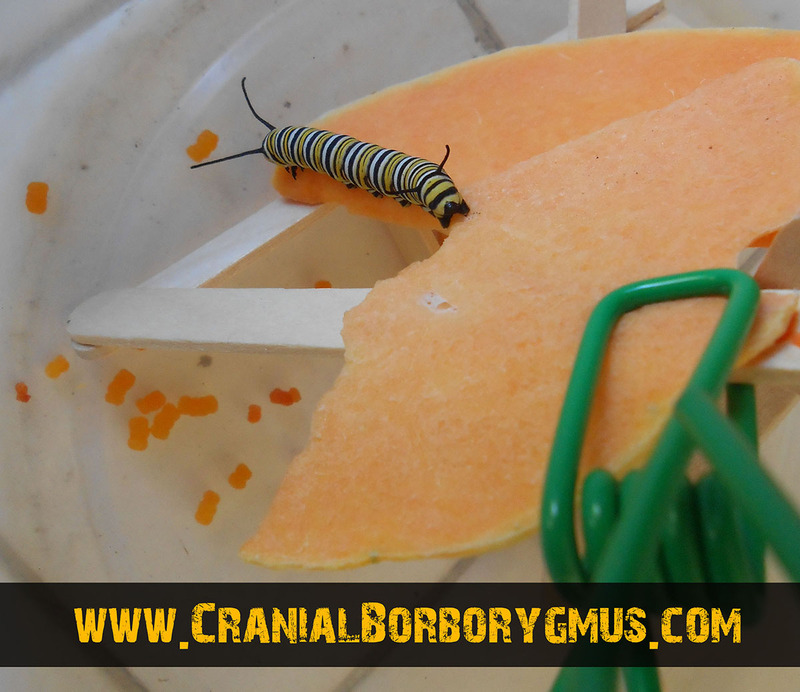 One source says the approximate length of the caterpillars at each instar is as follows (if you wanted to try to measure your caterpillars): 1st instar = 2-6mm; 2nd instar = 6-9mm; 3rd instar = 10-14mm; 4th instar = 13-25mm; 5th instar = 25-45mm. If they are pretty big, they should be ok eating the butternut squash. If they are smaller, they might not make it. But if you run out of milkweed, there isn't much else you can do. If you put them in a tupperware, you just need to make sure the container has holes so they get fresh air, but that they can't get out. I put some cloth mesh instead of a lid over the top of my container. They make their silk button and pupate hanging on the mesh, but I've also had them do it on a popsicle stick. I'd guess they can also make a silk button on the underside of a tupperware lid. They can grab onto almost anything. Good luck with your caterpillars. Hi Steve. Thanks for your advice on my monarch caterpillars. I tried transferring 3 from outside into a container with some butternut squash. They refused to eat overnight, so I put them back on the mostly stripped milkweed plants. This morning I threaded some cucumber chunks on the milkweed limbs, and they and their many friends are liking it!!!! Chomping away. Do you think if I move them from outside back into a container they will continue to eat the cucumber? It's going to be in the 90s today and I'm afraid the cucumber will dry out quickly. Also, it would be much easier to keep an eye on them and see when they need more, and to protect them through pupation. Hi Trudy, I'm not sure what to recommend to you. As for the butternut squash, it was two years ago that I used it to feed caterpillars. I'm not sure if they ate it right away, or after they got "sufficiently hungry". I don't think they'll eat it right away since they'd really rather have milkweed, but I just can't remember how long it takes before they'll eat it. I just know that the caterpillars eventually did eat the butternut squash and did fine. If you had more luck with the cucumber (which I never used but others say works) then I'd stick with it. Also, I talked to a "butterfly expert" and said I was afraid the caterpillars might starve to death if I didn't get them more food within a day, and the "expert" said they can go for several days without food. In any event, you might put some caterpillars in a container with both cucumber and butternut squash and see what happens. Good luck! Hi Steve. My caterpillars in my tupperware container ate cucumbers for a few days, but a local nursery got some milkweed in, and so I transferred them over to it. They have been eating happily, and crawling on to the screen cover of the tupperware my husband made for me, to turn into pupae. I now have 13 cocoons hanging straight down from the screen cover, and 1 caterpillar still eating. Ok. When these little guys start to emerge, what do they need in terms of space? Will they be able to cling to the screen (it's a rather fine mesh) or to their empty cocoons to let their wings dry? Should I take the milkweed plants (they are in pots) out of the Tupperware to give them more room, or would they maybe like to stand on or hang from the leaves or stems when they emerge? If they need to hang upside down for a while I'm just not sure what is the best way to accommodate them in my situation. Suggestions? Hi Trudy, Congratulations on getting so many chrysalises! Wow! 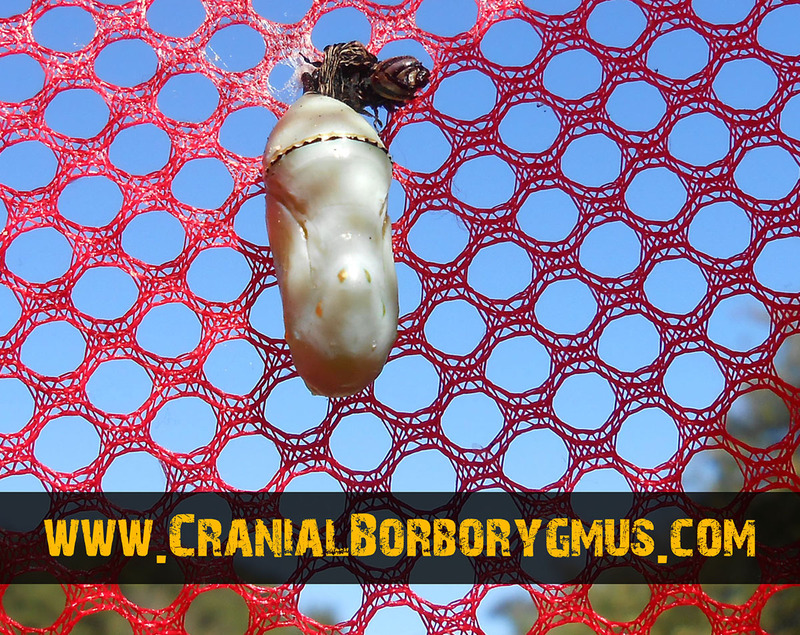 When the butterflies "hatch", from what we've seen (and it's fun to watch), they will emerge from the chrysalis and then hang on the empty chrysalis while they unfurl and pump up their wings, and then let their wings harden and dry. They might crawl around a bit and might hang from the mesh. They need to have their wings hang down while the wings are hardening. After a while, they'll then flutter around and fly away. So you'll want to make sure they have a way to fly out of the enclosure if they are still in it. Good luck! Thank you so much for this, I am trying the pumpkin and butternut. I had 3 milkweed plants out of 10 seedlings to survive. I had 32 caterpillars the other day, today I had 3 leaves left and 19. I have moved them to a container with the pumpkin and butternut. Tomorrow my netting cage arrives and they will be moved there. I will keep you posted on how my guys do. I believe its a better chance than none at all. Hi Elaine. Wow, that's a lot of caterpillars. Hopefully all or most of your caterpillars are fairly big already. I wish you the best. Good luck! Update, I have 32 caterpillars, I found some more milkweed so I keep giving them the fresh clippings and still butternut because some love it. I am hoping I have some start soon with the cocoons. We shall see what happens, I feel like at least I am trying here. Great site and info Steve. One thing you may consider is introducing your readers to the Monarch Larva Monitoring Project for additional information and to advance Monarch research through citizen science. I get many caterpillars and my next venture will be to try and raise them. Hi Mike. Thanks for your comment and for the link to the Monarch Lava Monitoring Project at the University of Minnesota. I just took a quick look, and it looks very interesting. I'll check it out more when I have more time. I successfully released 14 out of my 32. A few I lost to black death, others to heavy OE and deformities. Hi Elaine, Thanks for the update. I wish all your caterpillars had made it, but I glad to hear the 14 caterpillars survived. That's almost half, which is much better than they do in the wild I think. It always hurts to lose any of them, but it's great that 14 are now butterflies. We have one milkweed plant in our small flower garden that has been covered with monarch caterpillars for the past month or more. The closest tree is about 20 feet away. Are the caterpillars able to crawl that far to pupate? Hi Stephanie, I think your caterpillars can easily crawl that far. We have found chrysalises at least that far away from our milkweed plants. They can also pupate on walls, chairs, bushes, pots, and just about anywhere they can hang. Good luck with your caterpillars. So glad to get this information on alternate foods for the monarch caterpillars. There is at least one more plant that we've found they will use as a host plant. Eggs were laid on a Vinelike Milk Weed that has a Milky sap. They Hatch, and eat this Vine. There are Heart-shaped leaves type of vine. I tried the butternut squash and have some of the youngsters (3 and 4 Instar) are eating it too. not all of them but some. The 5th instar are all over it! We're thrilled! We have about 50 cats and of course they've stripped the 75 plus plants we had in the yard, and in containers. So I can't thank you enough for putting this info out there where we could find out about the alternative food source. It's saved several dozen so far. We live south of Houston and it's Dec. 15th and still have new eggs coming on. The warm weather has really created havoc down here. The Monarchs have stayed too long; producing into Winter will leave thousands starving. We'll do what we can for as long as we can. The majority of North bound Monarchs will start arriving mid March. We're propagating as many new plants as we can. Thanks! Hi Jann, Wow! Thanks for letting me know this information helped and about your experience. Very interesting, especially for this time of year! I really appreciate the hard work you're doing for the Monarch butterfly! Good luck and Merry Christmas! 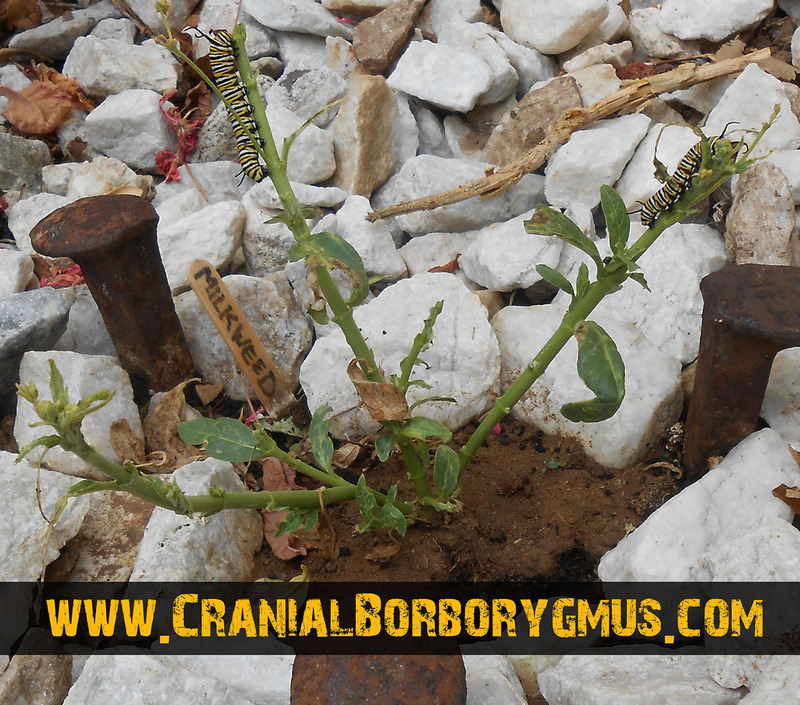 If the caterpillars have striped your milkweed plant bare can you save the plant to re-grow ? Hi Kelcey, Yes, even if the caterpillars have eaten all the leaves and the plant is just stems, after a while, new leaves will sprout and grow. My milkweed plants have been stripped several times. That said, it is tough on the plant, and it's better if it gets a chance to grow and get bigger before it gets hit by hungry caterpillars again, but there's not a lot you can do about that. The best thing you can do is just grow more milkweed, but for your current plant, leave it alone and it should grow new leaves. Good luck! I had a monarch on a small native milkweed and before I could get a chance to buy more it ate all of it. Due to long work days after nurseries close I was desperate and gave it some cucumber after reading about this online, which it happily ate up. I then found some different milkweed but it wouldn't eat the milkweed. I tried to find the same native milkweed that it had eaten before to no avail and it refused to eat any other milkweed. Sadly it eventually died after three days of no eating. I even had tried to give it more cucumber as a last resort but it declined. It was probably a third or fourth instar when this all happened and there was no sign of disease so not sure why it stopped eating-either because the cucumber caused problems after eating it or because I couldn't find more of the same milkweed it had hatched on and had been eating before I ran out. Hi Meme, Thanks for sharing your experience. I don't know why your caterpillar wouldn't eat the other milkweed. Maybe he wasn't doing so well after eating the cucumber. I know other people have reported Monarch caterpillars can eat cucumber, but I've always wondered how many nutrients they really get from it. In any event, just like with the butternut squash, they shouldn't start eating it until they are pretty big, and it's really just for them to finish growing enough to be able to pupate and turn into a chrysalis. But if they eat all the milkweed and you don't have any more, its an option to try and hope for the best. Sorry to hear after all your work and stress that your caterpillar didn't make it. How are people having so many caterpillars? I have less than 10 and am running out of milkweed faster than I can keep up with these hungry cats and ironically the more milkweed I buy to feed the ones I have the more cats I have as new ones keep hatching. I have a balcony vs a big yard and not enough space to keep buying milkweed but I don't know what else I can do when I need more milkweed to feed them as they eat so much. It also makes me wonder how to raise so many in Tupperware with just stem cuttings when they chomp down an entire plant overnight. I even had a cat eat another cat despite that the plant was big enough for both. Hi Meme, Raising Monarch caterpillars can be very challenging. We only had one plant when we started, and three hungry caterpillars wiped it out, which is how I discovered that they can also eat butternut squash (in an emergency and when they are bigger). Since then, we have planted more milkweed, but our plants can still get temporarily wiped out (they grow back). Because a single butterfly can lay 300 eggs, and a single caterpillar can eat 30 or more full leaves as they grow up, it's pretty easy to run out of milkweed. Its kind of feast or famine. Sometimes we have plenty of milkweed and no caterpillars (like right now) and other times our plants are wiped out. What has helped in our case is we have found some other milkweed plants in our neighborhood (our local elementary school has some plants). If we end up with too many caterpillars, we "relocate" some to other areas, unless those areas are also wiped out. Again, it is definitely a challenge, and can be very tough when you end up with hungry caterpillars and no milkweed. Good luck! I have been raising Monarchs with great success. I got low on milkweed. Supplemented with squash. Went great. I have released about fifty last few days. I had to euthanize seven. All huge abdomens. Lower wings not formed. Never had this till I started the squash. Any ideas? Hi Jen, Thank you for commenting and sharing your experience. The Monarch caterpillars that I fed butternut squash to turned out ok, but I only used squash because they had eaten all the milkweed. I assumed the squash does not have the same nutrients as milkweed, and isn't as good for them as milkweed, so I was kind of surprised the caterpillars survived and turned into butterflies. But I think your experiences shows the bigger picture. Squash is better than nothing, but is not as good as milkweed. If you had 50 butterflies make it and only 7 not make it, I think that's pretty good, but it's also shows that some probably won't make it on butternut squash. I actually only had to use squash once as an emergency food, and since then I've found other milkweed plants at our local elementary school and at a local park. I've "relocated" a few caterpillars to both these places when my own milkweed was temporarily wiped out. You might look around your neighborhood and see if you can find any other places with milkweed. Thanks again for commenting, and for pointing out that while squash is better than nothing, it's probably not as good as milkweed. I got my first milkweed plant this past May and so far have released only 12 monarchs out of many more caterpillars. Right now I have 34 probably 4-5 stage caterpillars in a porch area in containers that I had to buy butternut squash for and many more on milkweed plants outside that are fending for themselves. The comments on this site have been very helpful. I will string some butternut squash for those outside since the plants are pretty stripped. My question is regarding released monarch butterflies - what happens when you release them and there are no milkweed plants for them to come back and lay their eggs on because they are stripped? Any info. re that question would be greatly appreciated. Thanks to all for your comments!!! Hi Rebecca, Thanks for your comment! I would assume if butterflies found your milkweed in the first place and laid eggs, it is because there is other milkweed in your area. So even if your milkweed plants get temporarily stripped, the butterflies would find milkweed somewhere else. If all your milkweed plants do get temporarily stripped, if you can help any remaining caterpillars get to full size by eating the emergency squash, they can then turn into butterflies and fly away, and eventually find other milkweed when it is time to lay eggs and continue the cycle. We have some milkweed in our yard in Lavallette, NJ and have attracted numerous monarchs and cats. Unfortunately, many have succumbed to wasps and assassin bugs. I grew a number of new milkweeds to plant by the bay here and discovered 3 cats on one small plant. When I returned several hours later I only found 2 on the decimated milkweed and the third chomping on a nearby seaside goldenrod. Is this another possible food source? All have been relocated to my home milkweeds under a protective screen. Hi Richard, Thanks for your comment and observation. I've never seen any other references to seaside goldenrod being an alternative food source for Monarch caterpillars, and actually am not even really sure what that plant looks like. How much of the seaside goldenrod was eaten, or did the caterpillar just seem to be experimenting? Let us know if you have any further observations on this. Thanks! I will do some experimenting when we return to the Jersey Shore after some events in our main home in Maryland. It looked like the cat did eat some of the goldenrod, but hard to tell so soon. By the way - I have had almost 100% germination of milkweed seeds by keeping them moistly packed in a ziplock bag in the fridge for several months before planting. I'm thrilled to discover this post. Several years ago, I had a very similar, mind-blowing experience with my Pipevine Swallowtail caterpillars: my family and I were munching on a watermelon, and cast some of the rinds into the flower bed where I have growing mounds of Dutchman's Pipevine but was chewed down to the stalks. We were amazed to discover some of the caterpillars devouring the remaining flesh on the rinds. Since then, I've reintroduced the melon wondering if they would be interested and sure enough...Yay! We weren't seeing things! So, butternut squash, pumpkin, cucumbers and watermelon; it would seem that these plants have a common chemical compound that appeals to hungry caterpillars. Fascinating! This is my first season raising monarchs on milkweed that I grow in very large pots on our patio here in Bermuda, and I'm addicted. 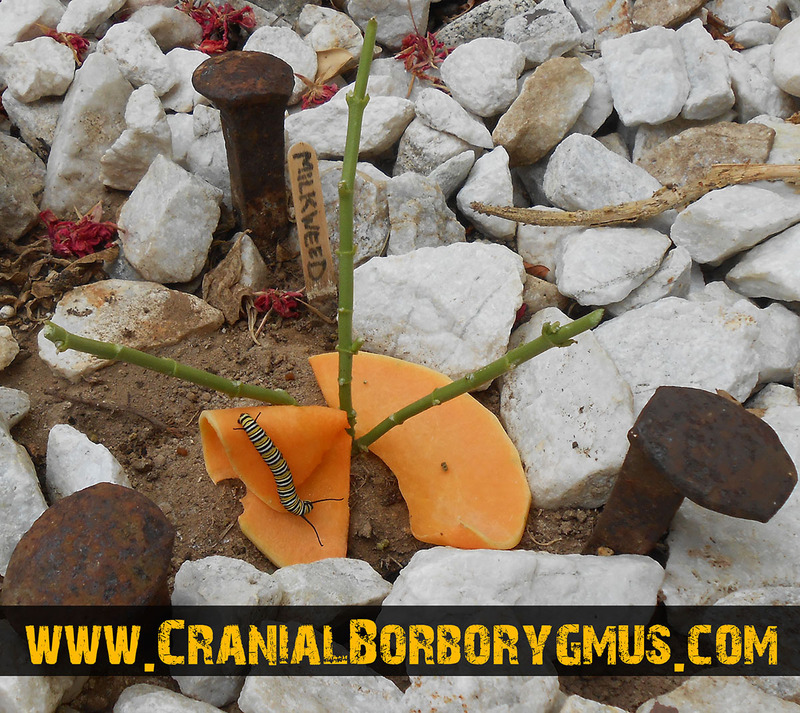 We've been through at least three generations - hard to be precise as the caterpillars are at different stages. Right now I have approximately 36, and I am hopeful that many are only a day or two out from the chrysalis stage. Today they stripped the plants almost completely bare (two of them even eating a semi-mature seed pod), and while it's good to know they can survive for days without eating, the problem is that when they're hungry they roam in search of food and probably die. I read your blog and went out and bought butternut squash, shaved off a few slices and took it to my plants. On the way I had to pick up several caterpillars and restore them to their siblings on the bare stems. I hung the squash below them all, and in every instance they began almost immediately to eat. It's night now, and I've checked by flashlight and it still seems to be holding their interest. I have 40-50 very small milkweed (less than 1" tall) growing from seed but don't want to unleash the caterpillars on them as they will demolish them all in a couple of hours. I've devoted man-days to manually eradicating the orange and black aphids that occur constantly. There are also really tiny black mites that look like rust under the leaves, and a sort of tiny limpet-like thing that attaches to the stems and emits an orange-yellow liquid when squashed. I'm obsessed. I've even given a presentation with photos to my French language class. Ah, les petites mignons chenilles! For my problem, I need to find an MBA - a Monarch-Breeders Anonymous - where I can speak freely about my addiction and where I won't be judged. Hi Rory, Thanks for sharing your story and experience. I had no idea there were Monarch butterflies in Bermuda. Very interesting! Thanks again for commenting, and good luck with all those caterpillars! Hey Monarch Lovers!! All of this information is amazing. I too have run out of milkweed, and have been feeding my caterpillars butternut squash, and occasionally organic seedless cucumbers. I think they like the squash the best. I have about 15 inside eating their squash. I have some huge cats that I'm sure need to make their chrysalises. I'm not sure if they are all confused because the weather in Texas stays warmer than elsewhere, and then boom, its really cold! I don't know if you've had that issue. Just chiming to say thanks for you all who put this good information out there to share. I've grown milkweed for several years after a neighbor gave me a cutting. It's so fascinating and wonderful to watch! Well, the first generation hatched and started eating about a week ago & when I went to check today, I was horrified to see more than half, maybe 60% of the plants gone and about 40 mostly medium sized caterpillars munching away on a lot of stems and flowers with an increasing number on the ground and fence. Oh, no! I put about 15 in my hands and walked them over to an overgrown lot on the next street I saw had some milkweed -- feeling quite delighted I blew some seeds in the fluff last year. They crawled all over my fingers (creepy LOL) but none fell off. Only to get there and find impostor flowers! Luckily , I've had a butternut squash sitting around for the past month. When I speared them on the plant's twig, it took a while but I felt triumphant when they started chowing down on the orange stuff! Some seemed to like it as a novelty and some eat it as a last resort without moving onto the last plant. I really cannot bear the thought of them starving and they were so many! For reference , I read that > 25mm is the final larval stage and when its OK to help them finish off before chrysalis stage. Also, a tip is to pull and freeze leaves when butterflies are not using the plant. And plants in the ground tend to double themselves with offshoots every year. We have a little over 100 caterpillars and utilized the butternut squash only for the giant 5th instars to eat for a few days before they J hooked because we were running out of milkweed and wanted to save it for the little guys. We cut off the outer hard covering of the squash and left chunks wedged in the remnants of our milkweed bushes on the stems and they quickly devoured it. At that time there was literally no milkweed to be purchased in the city so this alternative was a blessing. It worked and just wanted to add my thanks that you took the time to put this information up on the internet for us. We now have multiple cages full of J hooks and chrysalis that should be e closing in a few days. Thank you again! Do you have a comment or question? Would you like to share your own thoughts on or experience with the emergency food for Monarch caterpillars? All relevant comments will be reviewed and posted above. I try to review comments within 24 hours or less. raising Monarch caterpillars in Santa Barbara | image gallery of milkweed and Monarch caterpillars & butterflies | tachinid flies are killing my monarch caterpillars! 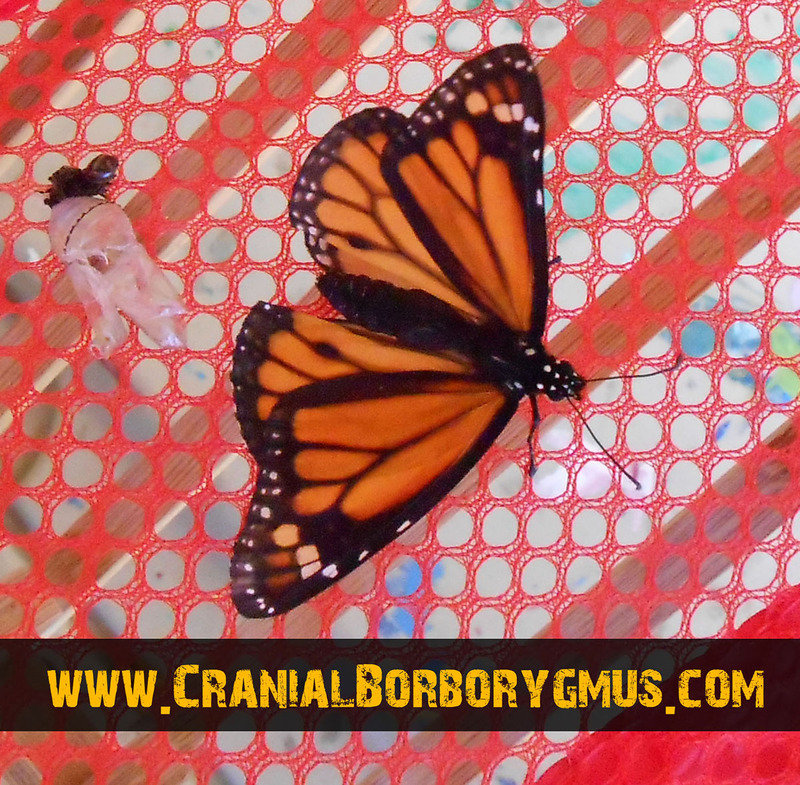 | Monarch caterpillars failed to complete pupating into chrysalis... why?